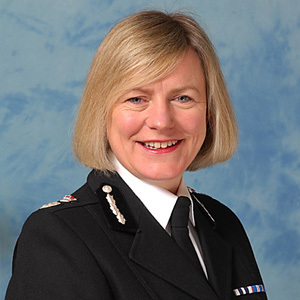 In April 2015 Sara Thornton became the first Chair of the National Police Chiefs’ Council (NPCC). The NPCC replaced the Association of Chief Police Officers (ACPO) as a new body bringing together the expertise of police leadership to coordinate operational policing and agree national approaches in the public interest. Sara Thornton joined the Metropolitan Police Service in 1986 and over the next fifteen years her career alternated between operational postings in West London and strategic roles within New Scotland Yard. Sara served with Thames Valley Police as Assistant Chief Constable Specialist Operations from November 2000 and as Deputy Chief Constable from August 2003. Between 2003 and 2007 she was Chair of ACPO Intelligence Portfolio and was responsible for the first two National Strategic Assessments in 2004. She served as Acting Chief Constable from January 2006 and then from April 2007 served as Chief Constable of Thames Valley Police until March 2015. Between 2010 and 2015 she was a Vice Chair of ACPO Terrorism and Allied Matters and Director of the Police National Assessment Centre. During this time Sara was also elected as Vice President of the ACPO from 2011 until 2015. In 2006 Sara was awarded the Queen’s Police Medal and in the 2011 New Year’s Honours she was awarded a CBE. She is also a member of the Royal College of Defence Studies, a member of the Advisory Board for the Oxford University Centre for Criminology and an active alumnus of the Windsor Leadership Trust. In July 2011 she was awarded a Master of Studies degree (MSt) in Applied Criminology and Police Management from Cambridge University. In March 2012 she received a Career Achievement Award by the Police Training Authority Trustees.